UFO SIGHTINGS DAILY: 1910-1930 Battleship or submarine found that is 100 meters long on island, June 2016, Video, UFO Sighting News. 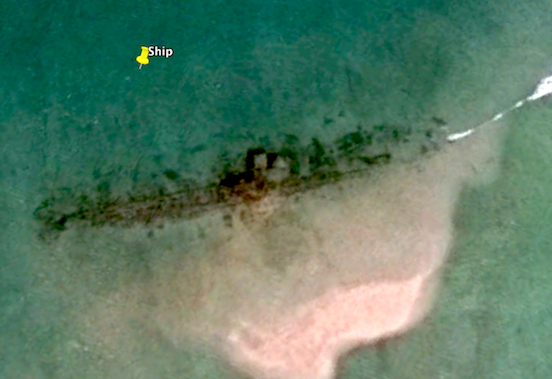 1910-1930 Battleship or submarine found that is 100 meters long on island, June 2016, Video, UFO Sighting News. Yeah, I know, its not a UFO, but it is really cool. I was teaching for more wreckage form the flight MH370 and stumbled upon this old ship or sub. 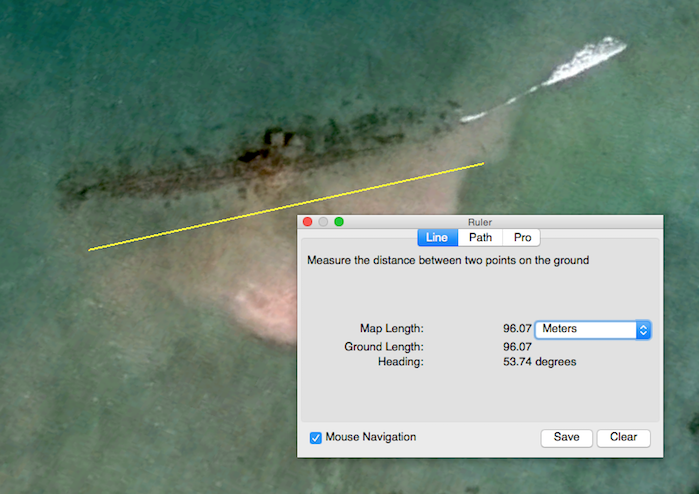 Google ruler says its 95+ meters across, but since one side looks split open, its closer to 100 meters. There is a visible metal railing all around the edge of the craft so that tells me the ship has a metal outside hull. The floor of the craft is hard to make out, so I can't really tell if its metal or wood, which would help narrow down the date of the sinking and the type of craft. I did notice that the ship has a heart shape large fin, like a submarine would have in the back, but it may be just part of the reef its sitting on. If you know what kind of craft this is, what the name of this ship or sub is, or when it sank, please let me know in the comments below. Its driving me nuts not knowing.